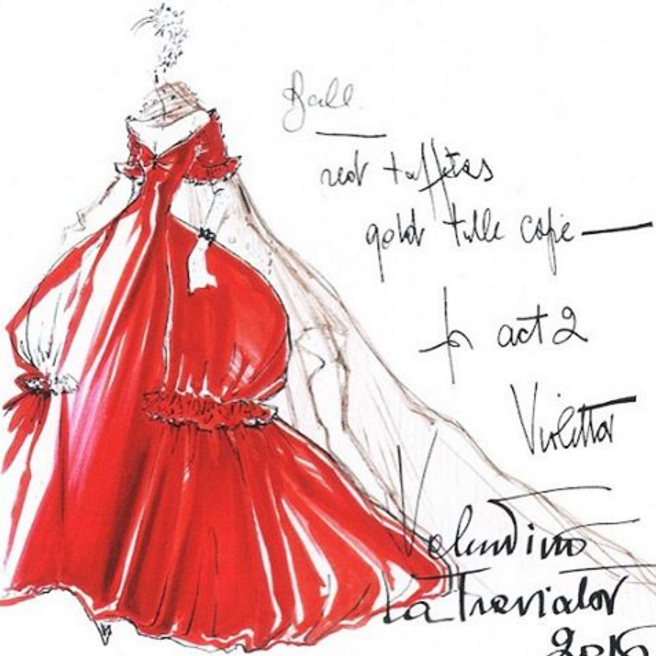 When the new production of La Traviata opens at the Rome Opera on May 24th, the performance will mark the fulfillment of one of Mr. Valentino’s lifelong dreams: To design the costumes for Violetta, the doomed heroine of Verdi’s magnum opus. This Traviata is very much a Valentino affair: The opera is the first production funded by Mr. Valentino and Mr. Giammetti’s Fondazione, and they handpicked its director, Sofia Coppola, after seeing her film Marie Antoinette. And in addition to Mr. Valentino’s costumes for Violetta, current Maison Valentino creative directors Pierpaolo Piccioli and Maria Grazia Chiuri will be providing the clothes for the rest of the ensemble. The opera will be a feast for the eyes as well the ears. Of course, this isn’t Mr. Valentino’s first crack at designing for the stage. 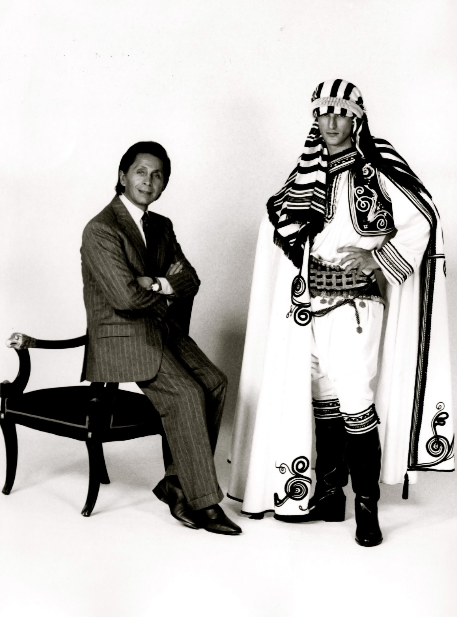 Since his retirement from the maison in 2008, he’s created costumes for the Paris Opera Ballet and the New York City Ballet, and in 1994 he costumed the world premiere of the opera Dreams of Valentino at the Kennedy Center in Washington D.C. All along, though, Mr. Valentino aspired to dress a Violetta. And why not? She’s the ultimate in tragic glamour. 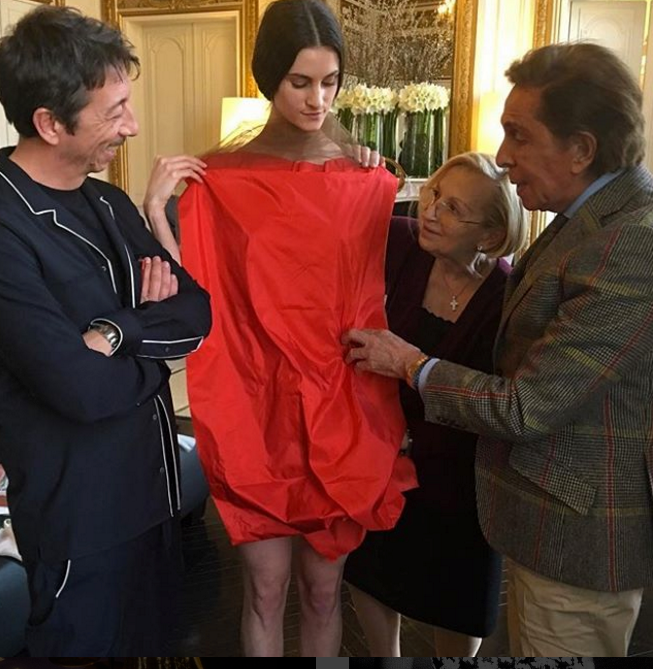 Mr. Valentino also points out that designing for a single fictional character is a far different challenge from designing a collection.